This is probably the simplest way of checking your body fat, body weight and BMI. It makes everything so much easier! All devices are clinically tested to ensure accurate results, helping you to track your body composition over time. Note: Please read safety precautions in the instruction manual before purchasing and using the product. Why should I use a scale and body composition monitor? 2 years (scales) or 3 years (body composition monitors) after date of delivery in accordance with the Warranty Card or the Instruction Manual inside the product packaging. Can you use a body composition monitor if pregnant? Yes you can use a body composition monitor if pregnant for weight tracking. But since body composition monitors measure the electrical conductivity of the soft tissues of the human body, this conductivity (and thus the calculated fat %) may be influenced by the large amount of fluid a woman carries during her pregnancy. Secondly, since the weight of the pregnant woman is also significantly higher than normal, this may also influence the final estimation of the fat %. Is the electric current dangerous? 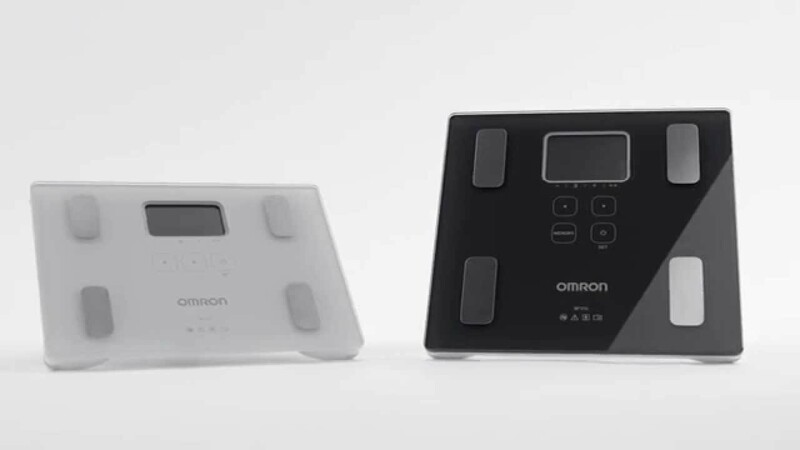 OMRON Body Composition Monitors pass a very weak alternating current (50 kHz, 0.5 mA [milliamp]) through the body. This is absolutely safe, however, for wearers of electronic medical devices and implants (pacemakers, electrocardiograms, etc. ), this current may cause a malfunction. This group of people is strongly advised NOT to use these monitors. Is there a recommended time to take a measurement of your body fat? We recommend you to take the measurement in the morning before you exercise, eat, drink or take a shower. This will give you an opportunity to develop a trend and a good day-by-day comparison. Please bear in mind that during the course of the day water levels tend to decrease. This impacts the various measurement methods.The hand to hand method gives an increasingly fattier result in the course of the day. Why should a body composition monitor not be used when you have a cardiac pacemaker? Any Body Composition Monitor based on the BIA (Bio Impedance Analysis) principle, sends a weak electrical current through the body. This electrical current cannot be sensed by a person, but a cardiac pacemaker may pickup the signal and could become unpredictable. What is the sense of measuring visceral fat? Visceral fat = fat surrounding internal organs Too much visceral fat is thought to be closely linked to increased levels of fat in the bloodstream, which can lead to common diseases such as hyperlipidaemia and diabetes, which impairs the ability of insulin to transfer energy from the bloodstream and using it in cells. In order to prevent or improve conditions of common diseases, it is important to try and reduce visceral fat levels to an acceptable level. People with high visceral fat levels tend to have large stomachs. However, this is not always the case and high visceral fat levels can lead to metabolically obese. Metabolically obese (visceral obesity with normal weight) represents fat levels that are higher than average, even if a person’s weight is at or below the standard for their height.